Heat oven to 350°F. 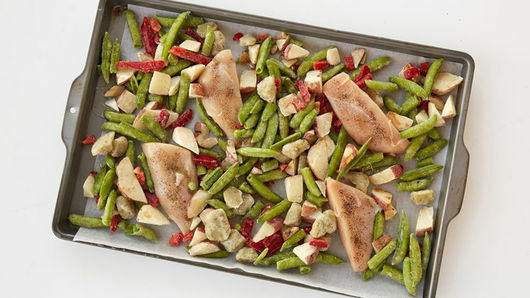 Line sheet pan or cookie sheet with sides with cooking parchment paper. Wash chicken; pat dry. Sprinkle salt and pepper over chicken. 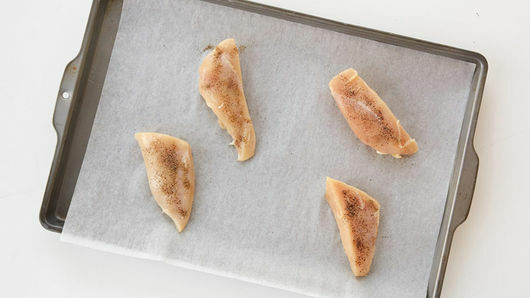 Cut each chicken breast in half diagonally; place in sheet pan. Arrange frozen vegetables around chicken. Drizzle oil over chicken. Bake 30 minutes or until juice of chicken is clear when center of thickest part is cut (at least 165°F). Serve immediately. Don't forget to line the pan with cooking parchment paper or foil to help make clean up a breeze. 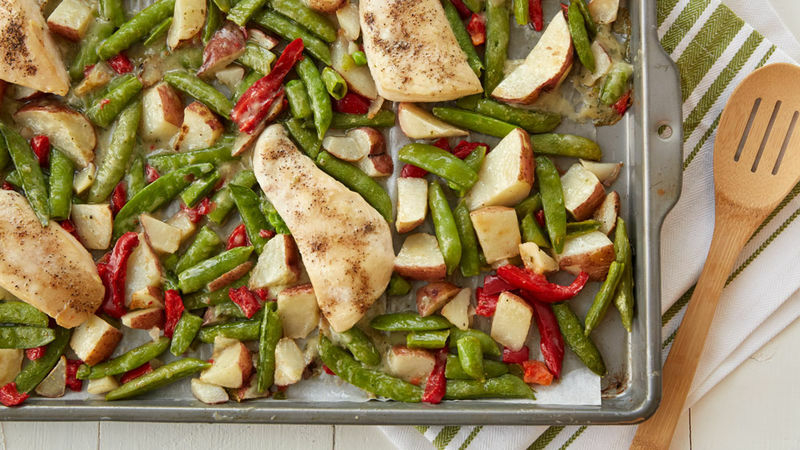 You could also use a large ovenproof skillet if no sheet pan is available.